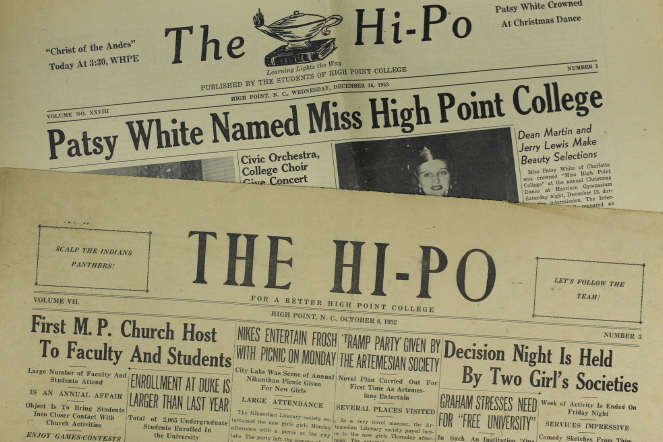 Welcome to the HPU Archives! 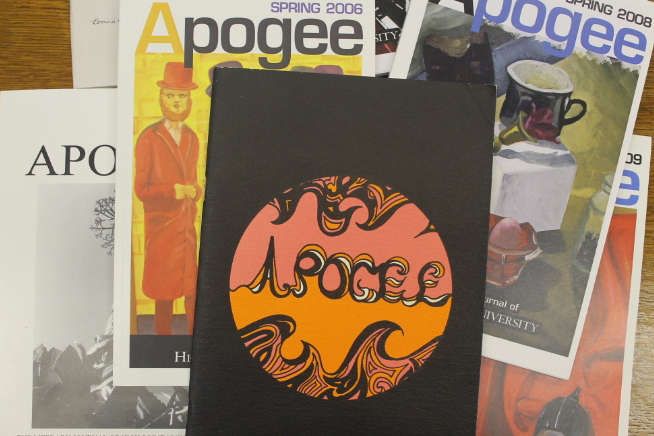 Our University Archive includes digital versions of Apogee, the student literary magazine, from 1963 to 2011, digital versions of the Hi-Po student newspaper from 1926-2003, the Campus Chronicle from 1994-2016, and the Zenith yearbook from 1927-2014. 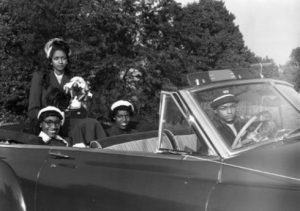 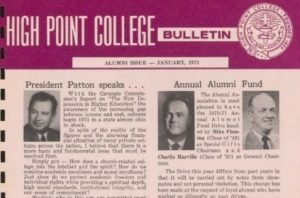 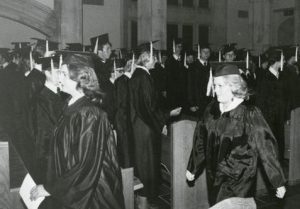 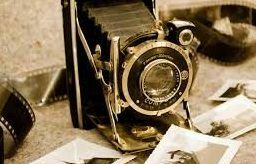 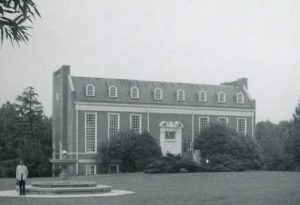 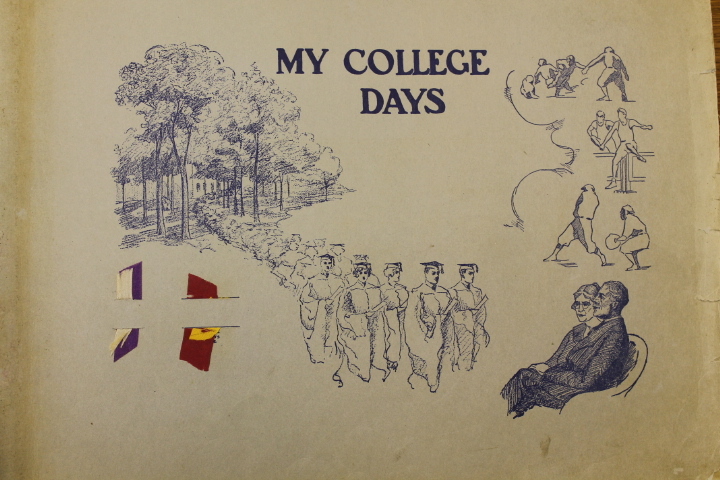 In addition to these publications, the University Archive includes 12 digitized videos dating from the 1940s and 1950s as they related to High Point College as well as an extensive collection of digitized photographs. 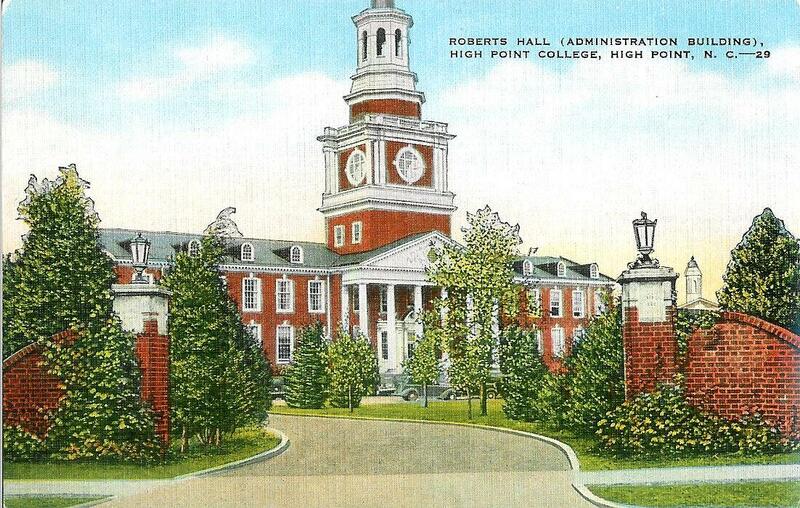 You can also find information about the National Wholesale Furniture Association (NWFA), the Roberts Bequest Papers and all of the art collections on campus. 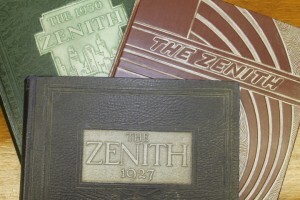 For more information about the archives, you can read our Archives Policy or contact David Bryden.